Pioneer Woman did something really similar to this, but this is my version. Mix Olive oil and minced garlic together. 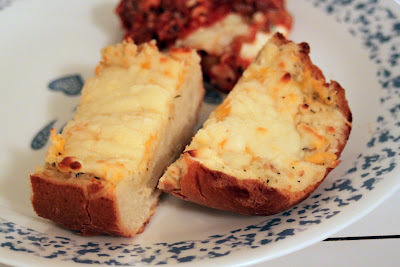 Cut your loaf in half and then halve the halves. :o) Confused already? 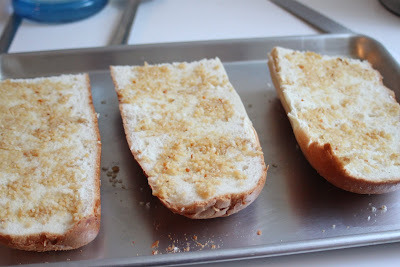 Then spread Olive Oil and minced Garlic over the bread and toast in the oven for a few minutes. 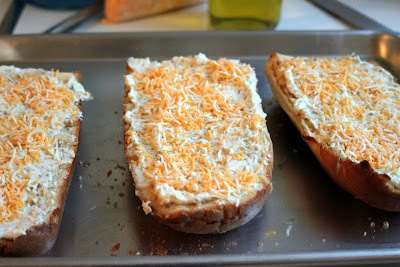 Pull the bread out and mix the mayo, parmesan cheese, and sprinkle in some italian seasoning. 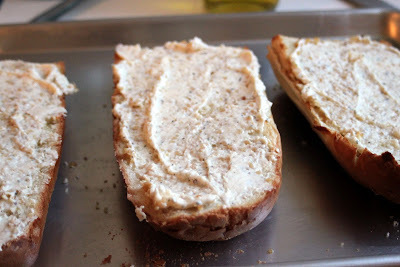 Spread over the top of the bread. 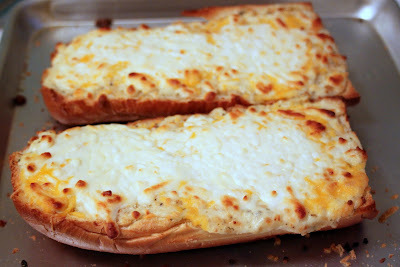 Sprinkle on some grated cheese and put in oven for a few more minutes until cheese is melted.